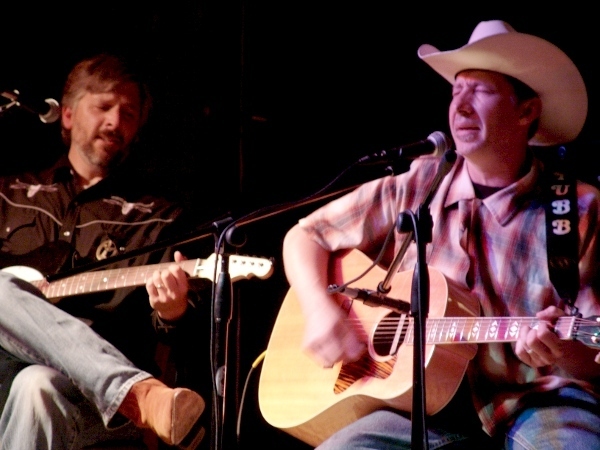 Kevin and Jim Lottridge (longtime friend and local picker) perform original songs as a duo. A native resident of Austin, TX, for 20 years, Kevin grew up around, was influenced by, musicians that were living there at the time such as Joe Ely, Townes Van Zandt, Ray Wylie Hubbard, John Inmon and many more. Kevin went back to Austin in 07 to record a CD of all original songs ‘WORKIN MANS DIRGE” with some amazing players such as John Inmon, Cindy Cashdollar, Glen Fukenaga, Paul Pearcy, and Lloyd Maines. Kevin has just finished his seconed CD of original songs “LAST CALL FOR COUNTRY” released july 09. He is also an author, accomplished chef, and proprietor of The Eldorado Grill and Tex Tubb’s Taco Palace in Madison.